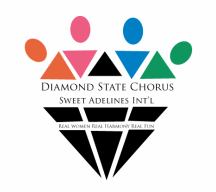 The Diamond State Chorus, a chapter of Sweet Adelines International, is an active organization of women committed to excellence in singing barbershop-style harmony. We are dedicated to sharing and improving our talents and the barbershop craft through performance, education and competition. We can be heard throughout the year, singing at public and private events, fundraisers, concerts and more! 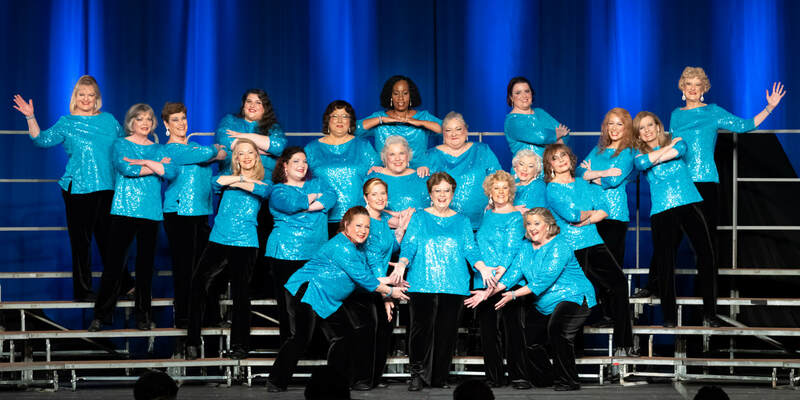 We also participate in the annual Sweet Adelines Atlantic Bay-Mountain Region 19 Convention and Competition. We have a long tradition of delivering Singing Valentines. This year, we'll be available in small groups or quartets on Thursday, February 14 from 10am to 8pm. For just $45 your loved one will be surprised with three love songs and a personal note from you. We are available in both northern and southern new Castle County; Chester and Delaware counties in PA; and Kent County, MD - in homes, work locations, even restaurants. ​Call or email to reserve your time slot. Contact Pam Nichols at 410-810-4588 or at pamela.nichols65@gmail.com.